If you read our recent review of BiP Media's pet management sim My Jurassic Farm, you'll know what to expect with its sister release, My Arctic Farm: the exact same experience, but instead of T-rexes and triceratops (triceratopses?) you'll be raising penguins and polar bears. The long-running "My ____ Farm" series began humbly enough with My Farm on DSiWare in 2010, but BiP Media has gone on to spawn a plethora of clones, including three sequels on DSiWare and now four iterations on the Wii U eShop. Each Wii U version is virtually identical to the first one, My Farm which was released back in February: you begin with an empty field and a single animal, raising it to lay eggs you can sell to purchase more animals and additions for your farm. 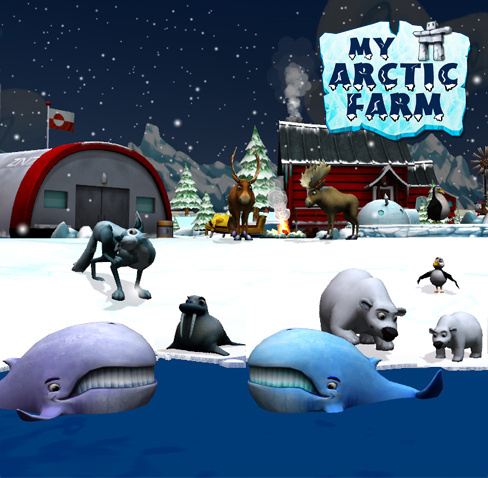 Whether you'll prefer My Farm, My Arctic Farm, My Jurassic Farm, or My Exotic Farm simply depends on whether you prefer traditional farm animals, arctic animals, dinosaurs, or African animals. Aside from the locales and the (not very well-rendered) 3D character models, all four games are indistinguishable from one another. Everything being equal, My Arctic Farm is marginally superior to the other entries in the franchise – if only because its wintry setting is slightly less represented in the farming/pet management landscape than the others. The arctic setting doesn't change the gameplay whatsoever, but it means there's a nice Animal Crossing-esque snow effect and a spaced-out, almost melancholy soundtrack that stands above the generic music heard in its counterparts. While there's a certain culturally-insensitive representation of the Inuit people in My Arctic Farm (they all live in igloos, right?! ), the developers have at least tried to give the NPCs real Inuit names. 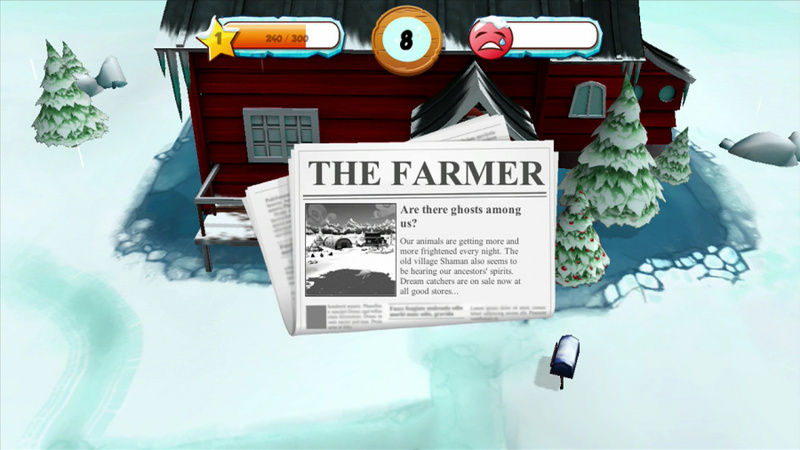 Once you get past the novel wintertime façade, My Arctic Farm is the same repetitive, micromanagement-filled Skinner Box we've seen three times before on Wii U and four times on DSiWare; check out any of our reviews for previous entries in the series and it will all apply to this one as well. There's no online component or multiplayer to extend the game's lifespan, and once you get tired of raising animals to make money to raise more animals to make more money, there's not much left to do. Once again, BiP Media presents us with a palette-swapped version of its My Farm formula. The snowy locale is a nice change of pace that stands out above the others in the franchise, but aside from new animals and a winter setting, this is the exact same game we've seen before. 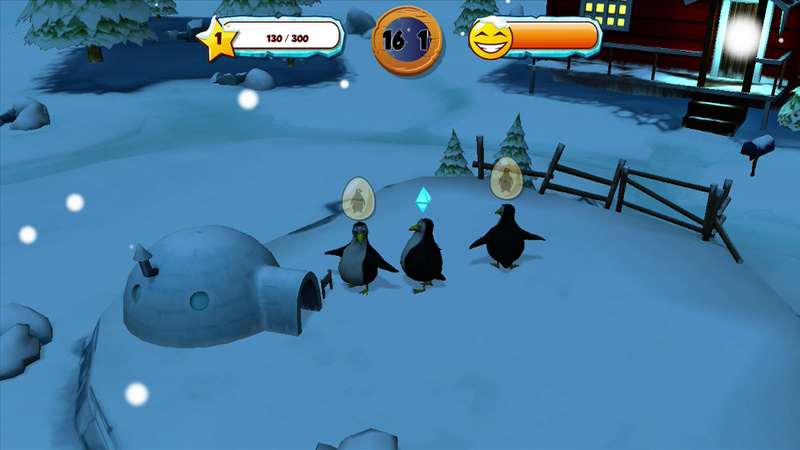 Very young children and penguin lovers who've never played the My Farm series before may find some enjoyment in this one, but unless you fall into one of those two categories, My Arctic Farm will be a chilly experience. An arctic farm, wow. That does not sound lucrative. There's better ways to waste time but I bet some people still enjoy this game. A farm in the freaking arctic!? Who the what!?.. Has ANY farm game scored more than 3?! This is like the fourth my farm this year. Instead of swapping out the locations why don't they spend their time making a decent farm sim.